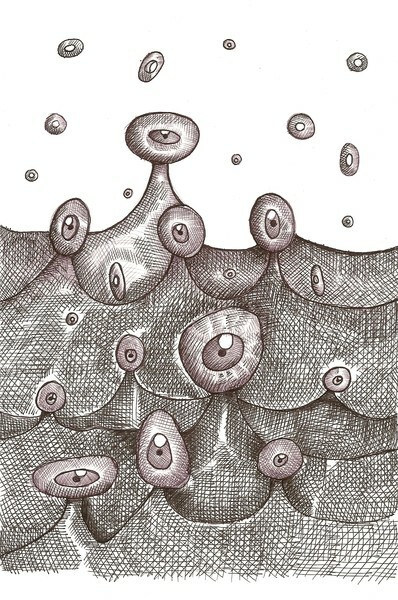 Eye Wave was the last drawing for 7/'09. All David Mask drawings and titles are copyright protected 2009. Dave, great work. You are really pushing them out..keep up the wonderful world you live in. Those amazing things just keep on dropping out of that head of yours on paper...nothing can stop it..it's far too late....lol. Great stuff. Dave, what can I say, you did it again. This art composition is of wonderful detail and amazing imagination like none I have ever seen. Keep up elaborating on your drawings and also allow your inner child speak out in your drawing's.